The human voice is the ultimate musical instrument. Everyone has a voice. We carry it with us at all times and it possesses the most wonderful ability to heal both ourselves and others. When we sing, or tone a single sound, we resonate every cell in our body. When our sound is directed with loving and healing intent, our cells resonate with this positive vibration. This can be the first step to better well-being. After discussing your needs and, on the first session, enabling me to take your case history, you will be invited to lie on the treatment couch. I will then scan your body by running a clear sounding bell over your body from base to crown. This will show up the areas that are out of balance. I will discuss these with you before beginning treatment. To begin the relaxation process, and to prepare you for the main part of the session, you will first be washed with the gentle sounds of Himalayan bowls. Then comes the voice. Each area of your body has its own vocal sound, usually a pure vowel sound, that is used for optimum healing. These sounds, sung by the therapist, will be directed to where they are most needed. It is a hands-off treatment. I will then sing some more complex sounds, called overtones, which deepen the relaxation and lower brainwave frequencies. Gentle percussion instruments will then gradually bring you back into your normal operational state. A single, balancing, passive treatment will end at this point. Sound Therapy is most effective when the client is given some techniques and excercises to be used between therapy sessions. These can involve breathing, voice and gentle movement. I will explain and demonstrate these and then work with you until you are confident that you will be able to practice them between sessions. The first session lasts 1 1/2 hours; subsequent sessions take 1 – 1 1/2 hours. To be really effective, three to five sessions of Sound Therapy are recommended. 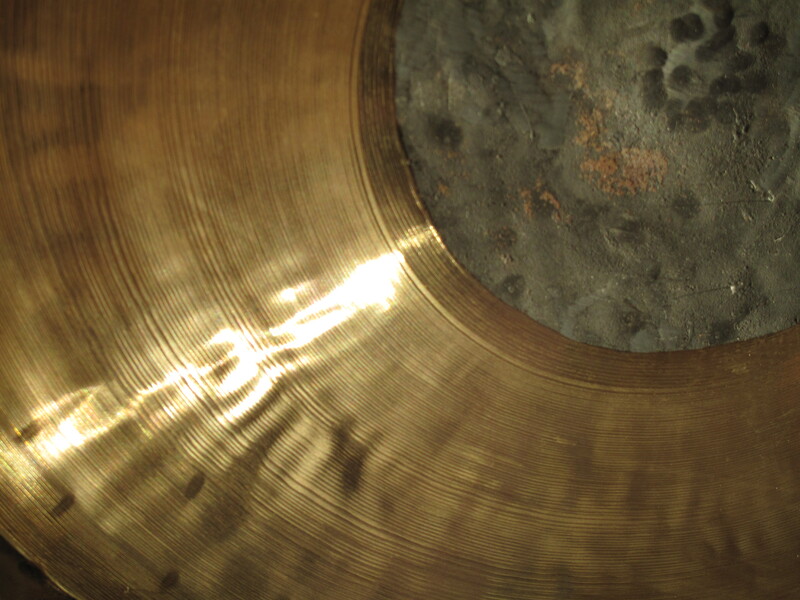 The gong is one of the most effective of instruments for Sound Therapy. Its sound is very complex and contains a wide variety of tones and harmonics. In fact, it is said that the sound of a single gong, played well, can incorporate every sound that it is possible to hear. Being washed by the sounds of two complementing gongs can bring about deep relaxation, stress reduction and the lowering of brainwave patterns. The gong sound has also been very effective in the easing of physical aches and pains. 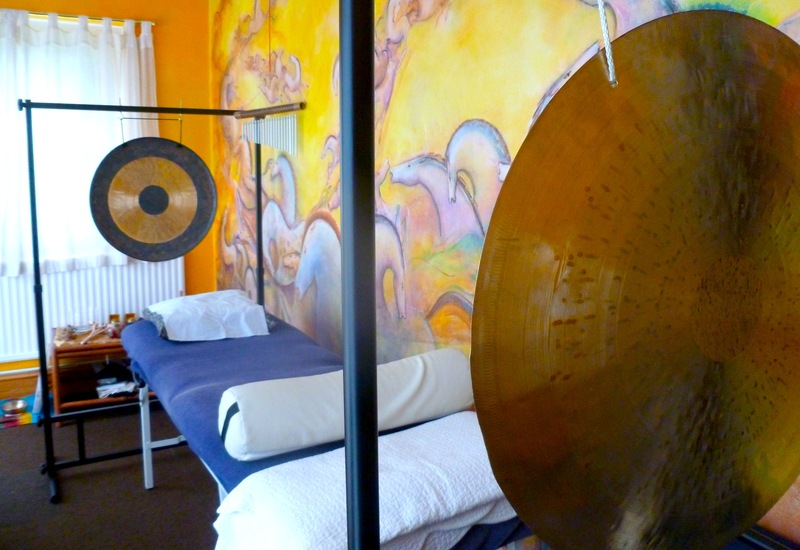 Gong Therapy is carried out on a one-to-one basis. The sound scan will enable me to devise a unique soundscape, especially suited to you at that moment. As you lie on the couch, there will be a gong placed behind your head and another by your feet. These two gongs will have different tones that will complement each other as I play them alternately. When the gongs have done their work, you will be brought back to a normal operational state through the sounds of gentle percussion instruments. This will end a single, balancing, passive treatment. Sound Therapy is most effective when the client is given some techniques and excercises to be used between therapy sessions. These can involve breathing, voice and gentle movement. After your main treatment, I will explain and demonstrate these and then work with you until you are confident to be able to take them away and practice them between sessions. The first gong session lasts 1 1/2 hours; each subsequent session lasts 1 hour.